Oculus, the Facebook owned company was one of the first companies to bring virtual reality to the masses. Last night the company held the Oculus Connect event where it gave the VR community a sneak peek into what it is up to. The most notable reveals were the Oculus Go and the updated Oculus Santa Cruz. Before we proceed further lets clarify the difference between the two. The Oculus Santa Cruz is not new, it has been in development since two years and it is the wireless equivalent of the current Oculus Rift. The Oculus Santa Cruz has dual controller just like the HTC VR but does not need to be plugged in to a computer. 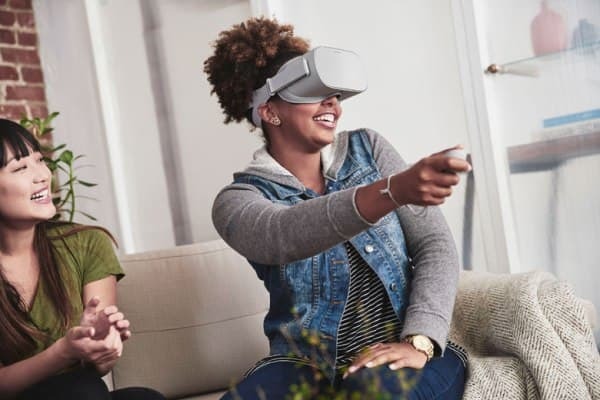 The Oculus Go is a standalone VR headset that works without a smartphone. It’s more capable than the Gear VR but not as much as the standard Oculus Rift. Once we discuss them at length you shall get a better idea. Let’s start by talking about the Oculus Santa Cruz. The Oculus Santa Cruz is still in development and a launch date is not in sight. 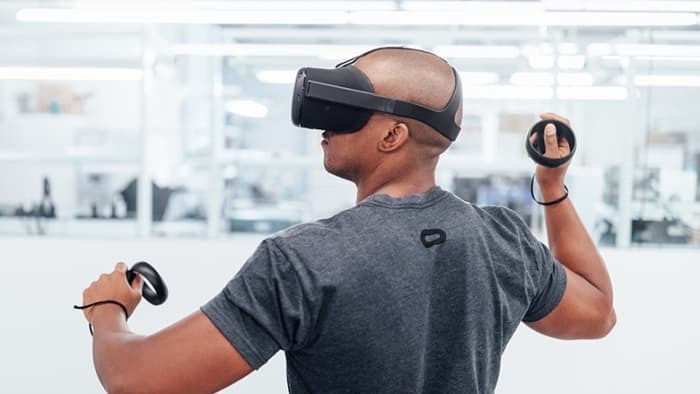 The Oculus Santa Cruz is completely standalone and features controllers with true six degrees of freedom. This means instead of moving your controller just up and sideways you can move forward and back too. Normally in VR headsets like HTC Vive the wires and external sensors keep a track of the controllers in air but in the Oculus Santa Cruz tracking is done inside out. The sensors are housed in the headset and in the controllers and they communicate their positions via infrared LEDs. The controllers have a new design completely different from the recent Oculus Touch. You can learn more about the controllers in the video below. Now let’s come to the Oculus Go. The Oculus Go is an updated version of the Gear VR but this one works without a smartphone. 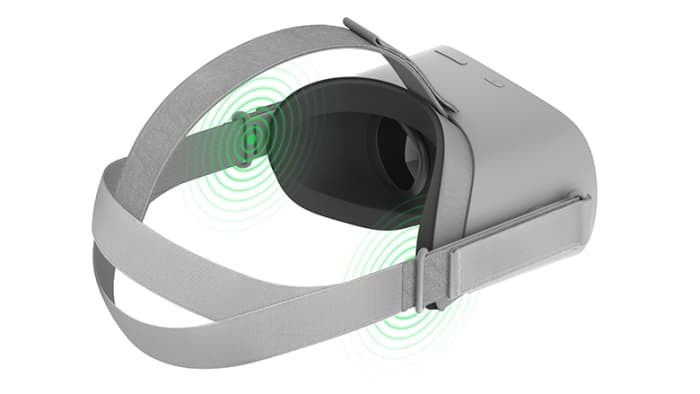 Unlike other VR solutions for phones such as Google Daydream where you have to place your smartphone inside, the Oculus Go has its own hardware. You find a fast-switch LCD with WQHD resolution inside the exterior of the Oculus Go which is made out of mesh fabric for breathability. The company says that the new LCD screen offers wide field of view and reduced glare. 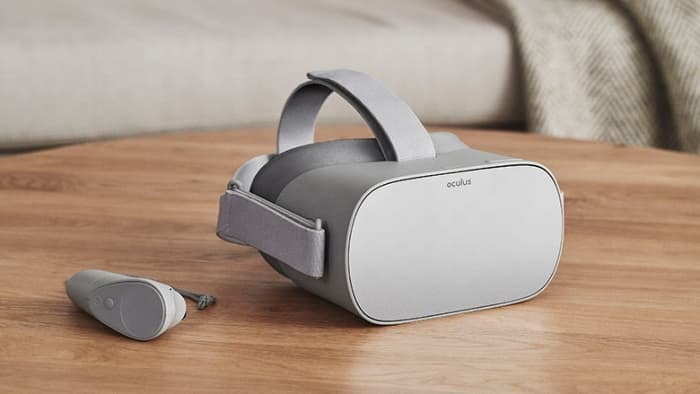 The Oculus Go comes with integrated spatial audio which means you do not have to pay extra for a good headset. If you still want to use your trusted gaming headset you still can because the Oculus Go has a 3.5mm headphone jack. You can use Gear VR apps on the Oculus Go and vice versa. You get a small VR controller as well. The Oculus Go is quite affordable considering its $199 price tag. Informative and useful post. Thanks.